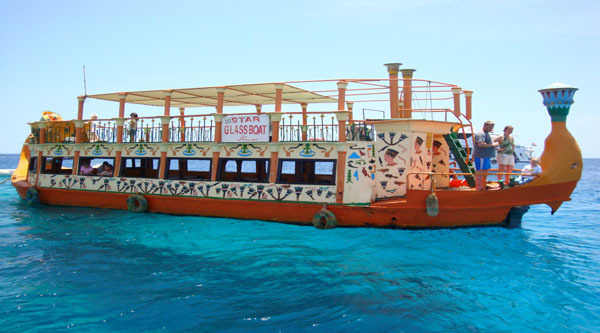 Glass bottom boat excursion from Sharm el Sheikh is a one hour sea adventure to watch famous coral reefs & colorful fishes. Ideal for families with children. 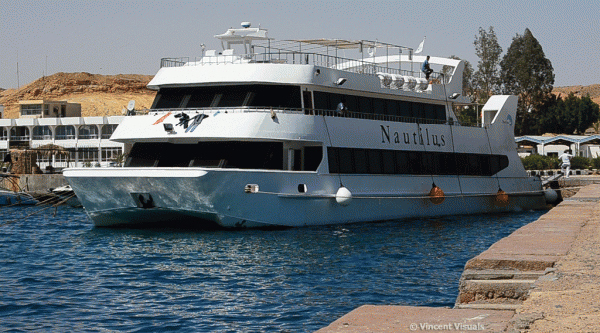 10:30 am Pick up from your hotel in Sharm el Sheikh and transfer to Naama bay jetty. 11:00 am Glass bottom boat ride. 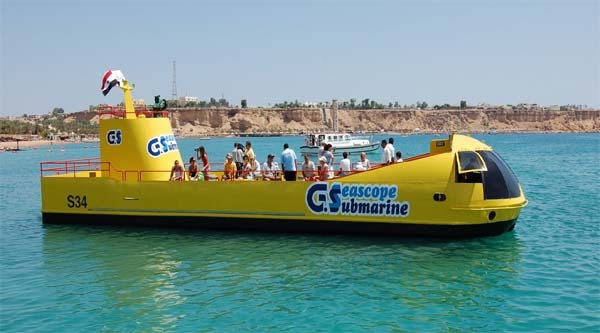 Glass bottom boat is one hour tour along Naama bay with stops at the most famous coral structures of the area known as Great Brain and Far & Near Gardens. 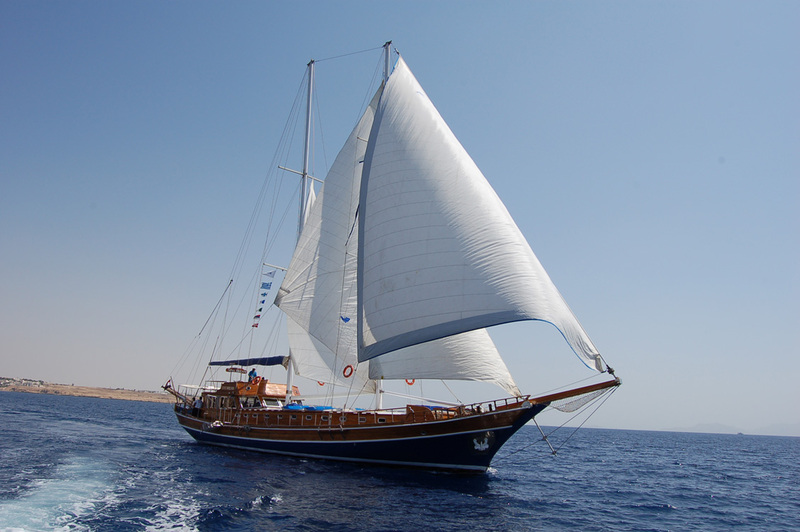 This is an ideal activity for families with children as you do not need to know how to swim or snorkel fish will pass by while you are sitting inside the boat observing the underwater areas via big glass bottom of the boat, so children are always safe. 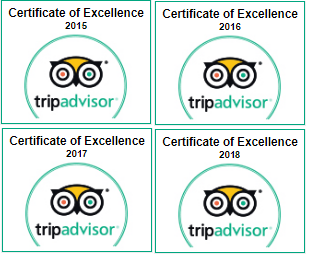 We do pick up from any hotel in Sharm el Sheikh. Pick up from your hotel as per the chosen time and transfer to Na’ama bay to join 45 minutes sea trip. Kindly note that the 1st trip starts at 11 am and the last one is at 2 pm. 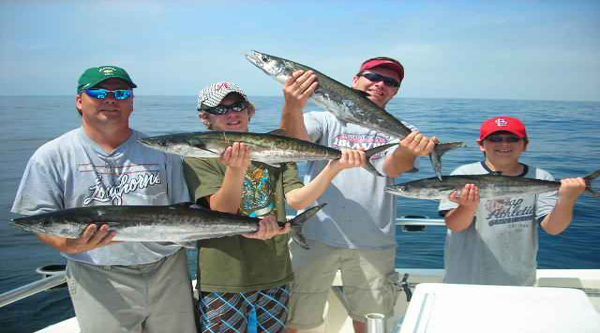 If you are tired to chase fish, then make a glass-bottom boat trip and see varieties of fishes and coral reefs while sitting on one place and doing no efforts, just watching the beauty of the sea through the glass bottom of the boat. Fish will come itself to you. You will be also see a very famous coral reef called the Great Brain which is considered to be the largest coral structure in the world! You will also pass by other famous coral structures such as Near garden and Far garden. It take about 5 minutes to travel to the viewing site where the glass bottom slows down and drifts over areas of coral allowing guests to view the underwater life. 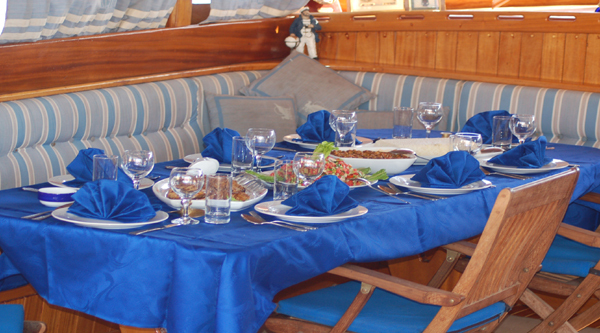 Enjoy the sea breeze and a leisurely cruise back to the jetty while enjoying the view of the bay. At the end of the trip we will drive you back to your hotel. 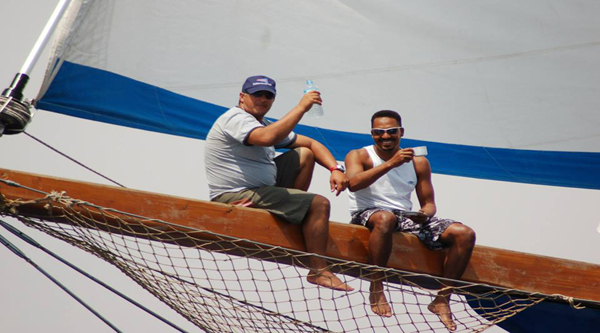 Although the tour takes just a few time but it's really fun for children, they enjoy with slow sailing, glass-bottom of the boat where they can observe fishes and corals safely and a complementary drink is a nice surprise. I really wanna speak of the fantastic trip i had in while was in Sharm el Sheikh. It was the best ever! we had so much fun, the entire time we were there. there was so much to see and a very beautiful fish & corals. the staff there was wonderful.